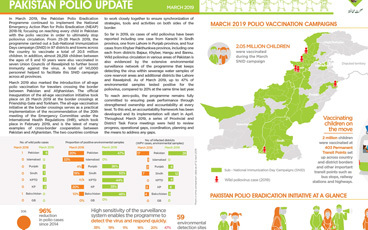 The Strategic Advisory Group of Experts on Immunization (SAGE) met in Geneva on the 14 April to review the epidemiological status of polio, and to assess the plans, preparedness and timeline for the globally synchronized switch from trivalent to bivalent oral polio vaccine (OPV). SAGE concluded that significant progress had been made since the meeting in October 2014, with no cases in Africa since August and over a year having passed since the most recent case in the Middle East, strengthened surveillance and more children being reached with vaccines. 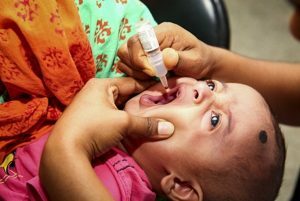 As a result of these steps forward, all countries and the partners of the Global Polio Eradication Initiative (GPEI) should plan with more certainty for April 2016 as the firm date for the global withdrawal of OPV type 2. 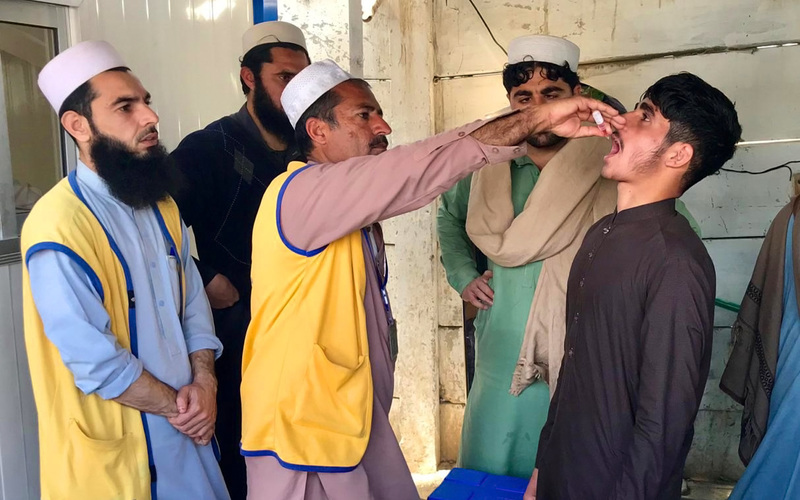 Withdrawing OPV 2 is a crucial part of the polio endgame strategy, in order to combat the very rare cases of vaccine associated paralytic polio (VAPP) or circulating vaccine derived polioviruses (cVDPVs). The type 2 component of OPV accounts for 40% of VAPP cases, and upwards of 90% of cVDPV cases. By contrast, wild poliovirus type 2 has not been detected anywhere since 1999. 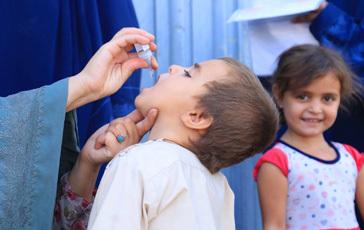 Several steps are crucial for the switch to take place, such as the certification of wild poliovirus type 2 eradication, maintaining strong surveillance and outbreak response capacity to type 2 polioviruses, containment of type 2 materials, the introduction of at least one dose of the inactivated polio vaccine (IPV) into the routine immunization systems of those countries currently using OPV, the licencing of bivalent OPV for routine systems, and ending the current outbreaks of persistent circulating vaccine derived polioviruses (cVDPVs). In Nigeria, persistent cVDPV2 cases have not been detected since November 2014, and Pakistan had its most recent case in December 2014. 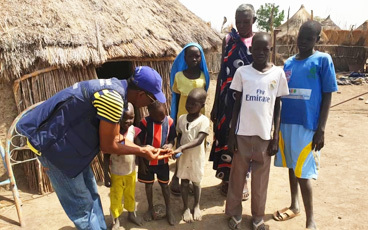 Between March 2015 and March 2016, Nigeria and Pakistan will conduct 7 and 8 large-scale trivalent OPV campaigns, respectively, especially targeting areas affected by persistent cVDPV2s. IPV will be included in tOPV campaigns in selected highest-risk areas, and aggressive mopping-up will be implemented in response to detection of any cVDPV2. The SAGE endorsed strategies for responding to further cases of cVDPVs in Pakistan, Nigeria or any other country in advance of the switch. The SAGE Working Group will meet in October 2015 to reassess progress and review the evolving epidemiology of persistent cVDPVs. The withdrawal of type 2 OPV will not only minimise the risk of the emergence of new cVDPV2s in the future, but will also prevent upwards of 200 cases of VAPP that currently occur each year as a result of the type 2 component in trivalent OPV. 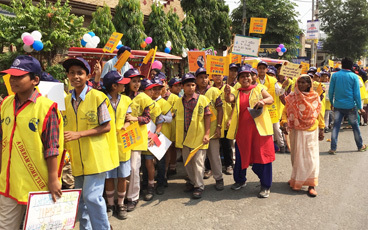 This globally synchronised switch will therefore be of great significance for the polio eradication programme with tremendous public health benefits. Read more about the outcome of the SAGE meeting here or about cVDPVs and VAPP here.